Discussion in 'Guns/Reloading' started by Osceola, Sep 28, 2017. We own three Ruger American Rifles in 7mm-08. For Michigan hunting with my teenagers, I reduce the loads down to about 2400 fps, but I've also taken mule deer in Wyoming with full power loads. I love their accuracy at an economy price and I love the versatility of the 7mm-08 cartridge. But I don't care for the plastic stocks on these rifles, so I've been keeping my eyes open for the right after-market stock. With hunters in my family ranging from 14 to 48 years old and all shapes and sizes, I need versatile rifles to go along with a versatile cartridge, something anyone can use on a given day. Boyd's now offers a stock that's fully adjustable called the At-One. I decided to give it a try and I'm very pleased so far. One of the beauties of an adjustable stock is not just to accommodate different size shooters, but also different clothing/seasons. I wear a t-shirt at the range in the summer, but I'm typically layered up with bulky clothing for the Michigan firearms opener November 15th. No problem now. 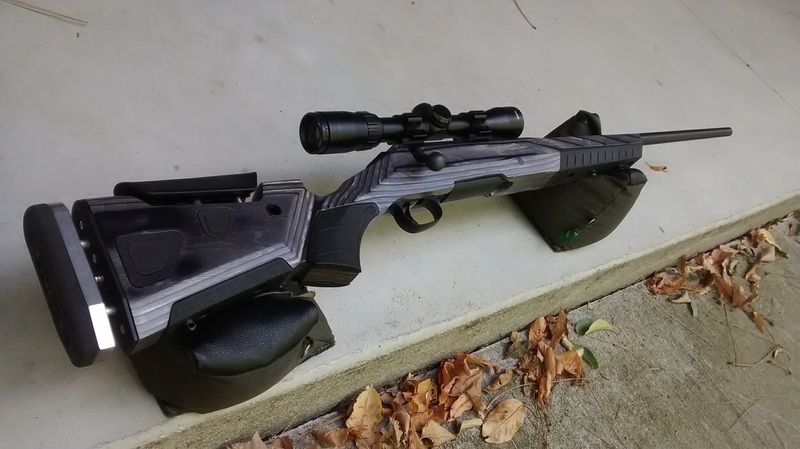 I paid about $350 for the rifle and $200 for the stock. I can't imagine a more versatile set up for the money. Keithw247, Mennoniteman, E_308 and 2 others like this. How much weight did it add? I have an American in compact that my Daughter uses (.243). I find myself taking it quite often when I venture into the woods in case of a random coyote, as it is so light and small. Magpul is also offering stocks now. They look really good. It does add about a pound to the total rifle weight. 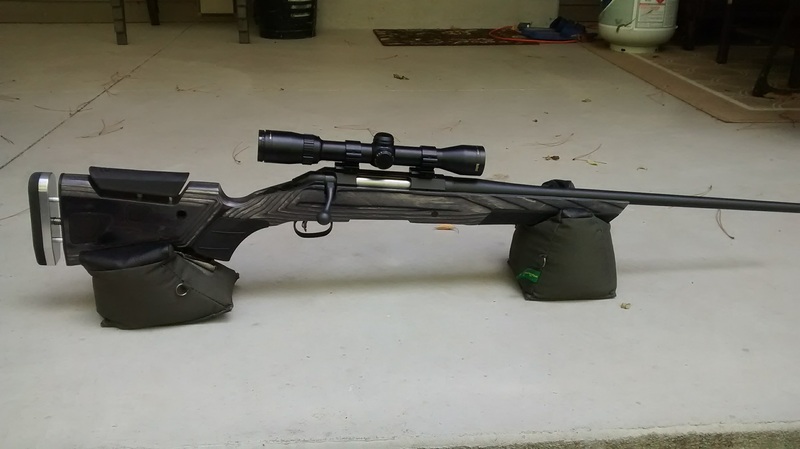 I don't see this as a drawback because the weight absorbs more recoil and we mostly stand hunt anyway, so its not an issue. I also like the heavier, more rigid feel, but that's mostly an ascetic preference. If I were to take it out west again where I would be walking all day, I might consider putting the plastic stock back on. I have two 7mm-08 rifles, A Tikka and a Ruger M77 stainless and plastic, both tack drivers. The 7mm-08 is a unique cartridge in the fact that it has almost .270 ballistics with just a little more than a .243 recoil, thus making it a top choice for a deer rifle for women and youth hunters. P.S. I also have a Ruger M77 .243 stainless, my favorite coyote gun.